ublue can not only simultaneously charge two mobile phones, but also can freely adjust current distribution ,and fully make you free from worry. 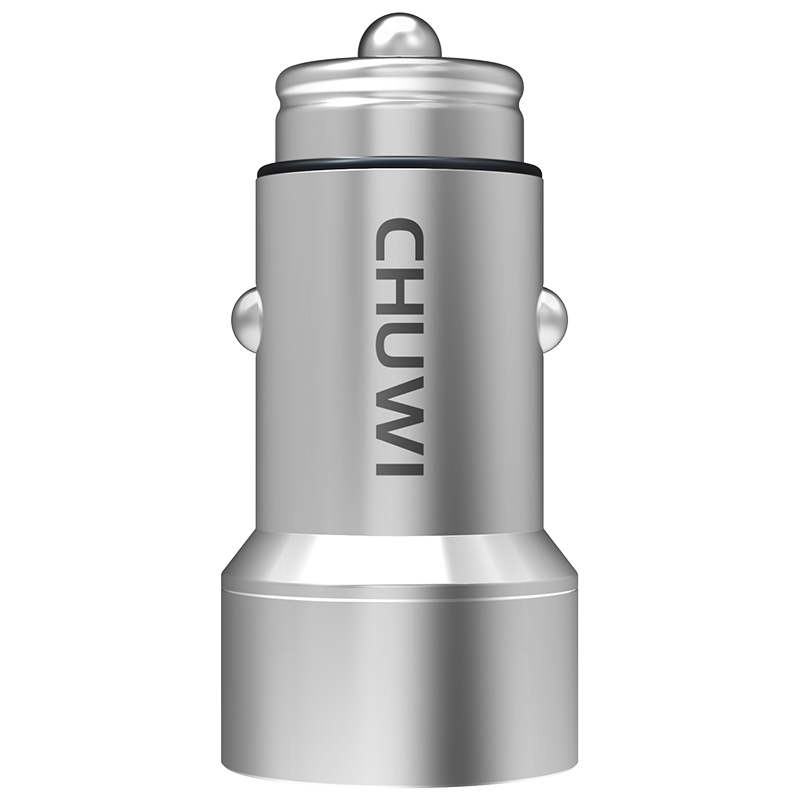 Chuwi is not just producing a car charger, we want you to feel Chuwi’s artisan spirit and focused attitude at the moment when you get it. which brings great euphoria to you. After18 Steps and the production cycle of 150 minutes, the cold metal became mature. 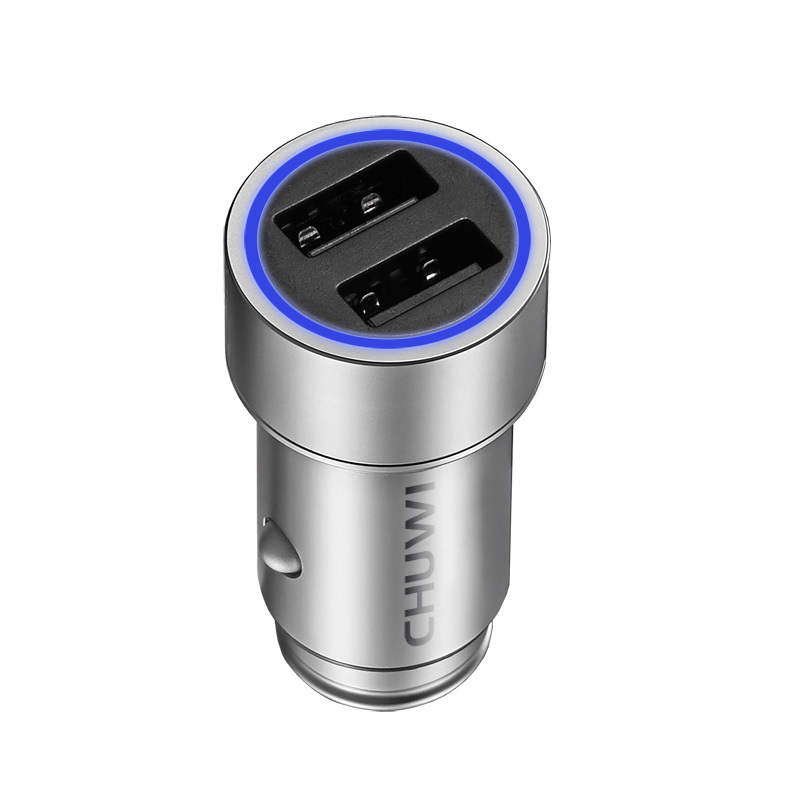 In order to let you fall in love with ublue at first sight, Chuwi will introduce the unibody process used in middle and high-end phones to car charger. 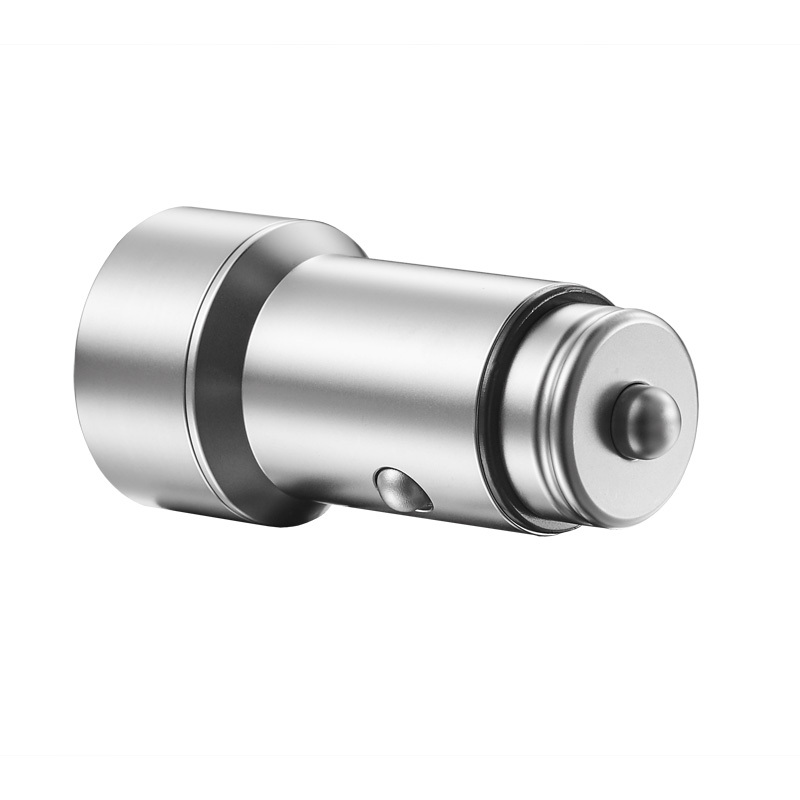 With the process controlling automated processing, integrated molding technology, 18 steps, the production cycle of 150 minutes and 8th times quality inspection, Chuwi metal car charger is playing the most outstanding symphony. Exquisite craftsmanship makes the moving curve, full all-copper body chrome enhanced enhance the friction-resistant and corrosion-resistant ability for the body. Noble silver with any color of car interior is very nice. More excellent products coupled with the better you. The box is embedded with insulating plastic spheres so that the heat can be isolated well. copper body can easily radiate, Even though the multiple devices are used for a long time can you don't have to worry about burning your hand. During driving, long-term distraction can seriously threaten your safety. LED lights conform to U.S. auto meter brightness light safety standards. Added soft agent and astigmatism in the light, the blue LED light become more homogeneous and soft, and non-glare. 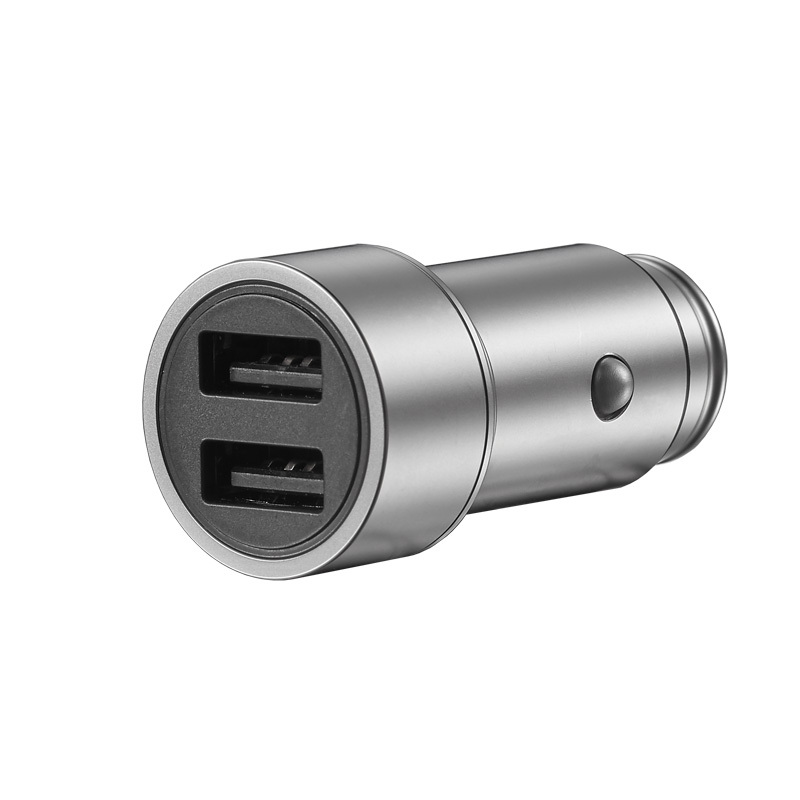 you can easily plug the charging device in dark, and the dark soft light can protect your safety and provide romantic atmosphere for your car. There is constant current IC inside the charger , which can assure your security. 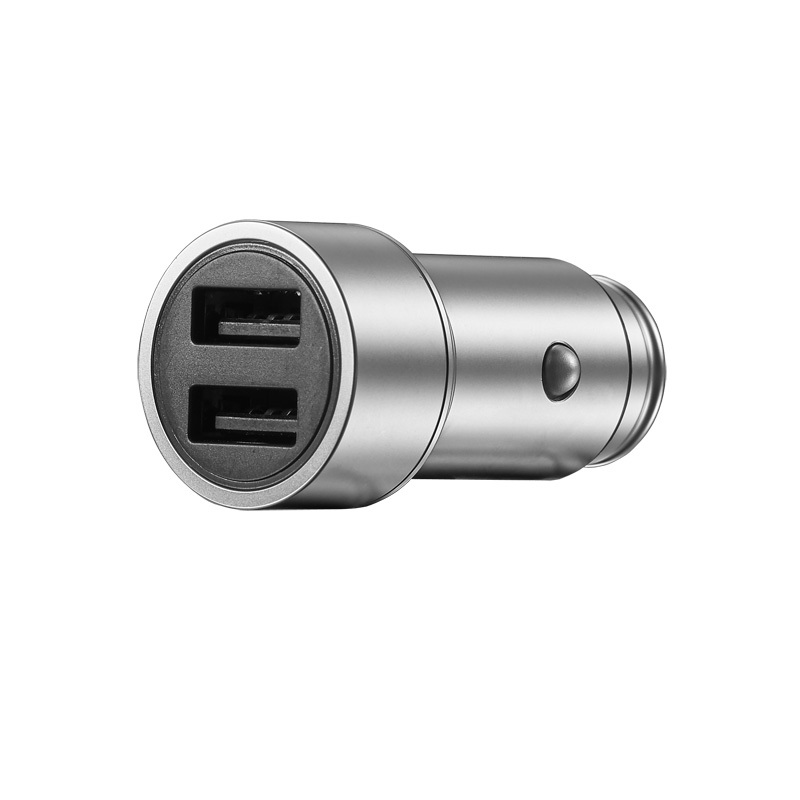 Based on the system requirements in the field of car charger, it adopts smart IC that is applicable to car charger, inside which is output Over Current Protection, Output short circuit protection, Output over voltage protection, over temperature protection, constant voltage and current function used in chargeable lithium battery, safe and perfect, making it charge without detriment. Chuwi Smart Charge technology can pair with smart phone, tablets and other mobile devices via smart charging chip to distribute proper electric current for 5V smart charging devices, reducing the battery loss of smart phones and tablets.